So in the first post from this two-part series, I took a look at some of the biggest brands out there, seeing how they express themselves to the consumer. We talked about delivering on the promise of the brand, in emotional, unexpected, and creative ways. Well, the same is true for how we see our brand at National Geographic. We want our brand to come through loud and clear in everything we do – and we often rely on external creative partners to help bring our ‘products’ (shows, usually) to life for the viewers. In this post, I want to demonstrate some of that branding and how we pair our brand with the brands of some of our frequent co-collaborators. We often pick our external agencies for specific reasons based on their brand and the work that they do. In most cases, WE are the ones who select them but we select them based on what we think they bring to that project and why it would be a good fit. 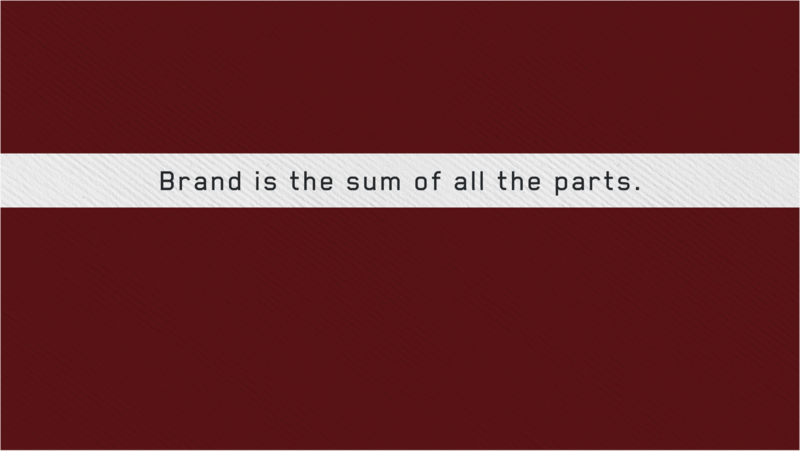 What a company’s brand stands for helps make that choice. Let’s dive a bit deeper to see the style that three different brands we work with bring to the table – and how that can impact our projects. So let’s start our breakdown with the team from Evolve, based out of Nashville, led and owned by the brothers Joel and Jesse Edwards. 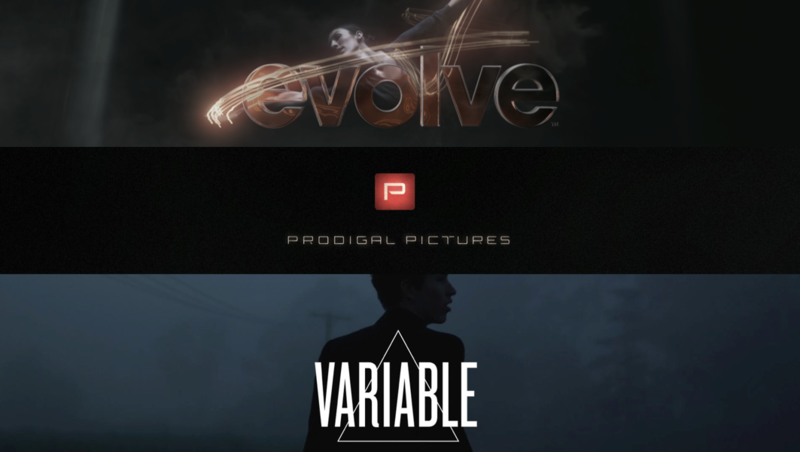 If you don’t know Evolve, they are incredibly talented filmmakers, as well as colorists, editors, designers and musicians. They’re very unique and collaborative guys, and they have worked a TON with us the last 3 or 4 years on some of our biggest campaigns we’ve done at Nat Geo Channels. What Evolve does better than anyone else I know is that they bring INSANE images to life in the most epic, extreme and stylized-yet-tasteful manner possible. We have a joke around the office that whenever we get the first rough cut for ANY Evolve project, we know that they go full-bore crazy. Sometimes too crazy, but we like that about them. It’s way easier to rein someone back than push them out farther. They are into epic, slick work that tells a story but pushes the visual envelope. Joel and Jesse have told me about one of their biggest cinematic influences, Chris Hewitt, who made this Infiniti ad featuring women kissing tigers and tightrope walkers walking between helicopters – it pushes the boundaries with some insane visuals, pushed to the extreme. So they like to push it – and we often hire them for jobs where we need to push it for our own storytelling reasons. And one of the other brand strengths of Evolve is that they are unafraid to say that they derive great pleasure bringing other people’s stories to the screen – they don’t feel a need to be the initial creators of the concept or idea, they are happy to be hired to bring someone else’s vision to life. And that’s a very powerful attribute to have, to have an agency not feel like it’s got to be THEIR concept or vision. (They certainly do come up with concepts, too, and do it quite often with us) A perfect example of their sensibility is on Wicked Tuna – it’s is a show that’s not changed in the 6 years it’s been on air – it’s a fishing show with the same characters, same stakes and same challenges year after year. So our promo goals are always to find new ways to tell the same story, usually visually, and then we partner with Evolve, and they turn it up to an 11. Here’s an example of some Tuna spots that push it out there, and uses both Evolve footage and footage from the show in an epic and sizzly manner. And sometimes, we want to go quieter – but still make that quiet spot feel big. Here’s an example of a quieter vibe but still made pretty epic. Kudos to Executive Producer Erin Newsome’s script here as well. Since season 2, we have hired Evolve to do every season of Wicked Tuna. They constantly delivered a new vision and look with each season, while staying true to the goal of making the promos feel like a “heightened reality” that elevated the aesthetic of the show. Each season they turned it up or down, depending on what we needed, without ever losing their sensibility of pushing the visual envelope. 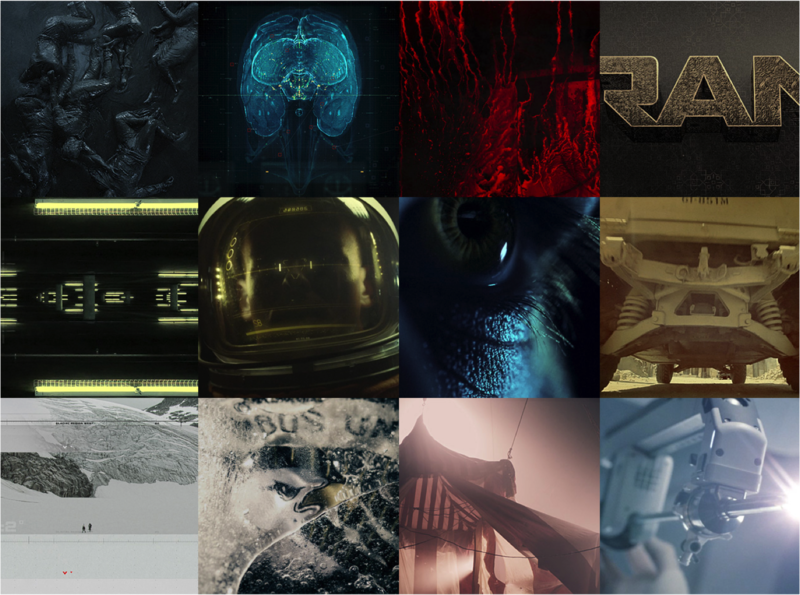 And that is what Evolve so great – they are epic, cinematic, BOLD storytellers. Great partners, and a hell of a lot of fun to work with. 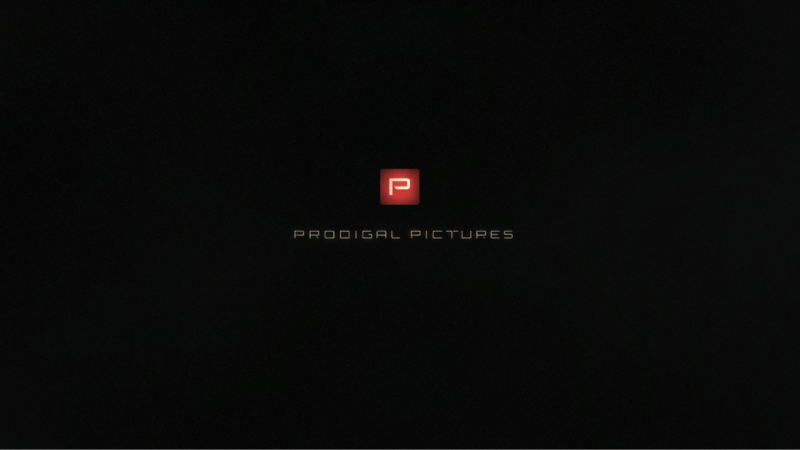 The next company we work with a lot that also has a distinct brand sensibility is Prodigal Pictures. They’re helmed by acclaimed designer and director Danny Yount, who is responsible for some iconic title sequences and commercials over the last decade or so. He’s done the title sequence for Iron Man 1-3, Six Feet Under, Oblivion and Sherlock Holmes. I talked to Danny about his brand a little, to hear how HE viewed his company’s brand and sensibility. One thing he said was that they are a company “Focused on graphic communication and storytelling” – essentially, Danny has a very strong design aesthetic which permeates a lot of his work. Looking at his website, you can instantly see that there is a modern, detailed look to everything while still focusing on storytelling. There’s a lot of his workd that feels very futuristic and modern. And that’s precisely why we have hired them – that blend of design and story. Their graphic sensibility is precise, detailed, sophisticated yet subtle. So the jobs we often pick them for match up perfectly with their brand – clean, modern, with a real purpose and story. Luckily for us, those kinds of stories happen a lot on our air! Here is an example from our campaign for the series “Breakthrough” which combines technology or innovation along with meaningful human storytelling. We also had a show last year called “Remote survival” – about people left to survive in the wild, but wired up to cameras and technology to trace their journey. Human stories seen through a technological eye. Check it out. They were the perfect company for this project because their brand and how we see their brand is pretty close – storytelling with a modern, precise, technical feel. So, going back to my earlier thoughts about branding your company – it’s finding what you do best, and what you stand for, and finding a perfect way to bring those to life in your work. We continually come back to work with Danny and his team because we know that he does an amazing job of blending crisp aesthetics and clean design – with real human stories. It’s hard to find a company that creates such cutting-edge design, that can also edit and deliver on the necessary emotion of our stories – but Prodigal always does it. Moving on to the last company to review – and to those of you familiar with our work at Nat Geo, I’m sure it won’t surprise you to learn that it’s Variable. We’ve been working with Variable for over 4 years now. What’s interesting about Variable and their brand is less about their aesthetics or creative sensibility, and more about how they view themselves as PEOPLE. They stress relationships within their brand ethos, and the words “kindness” and “joy” are part of their core values. And it’s pretty awesome, I have to say, that they even HAVE a brand book. That is a great sign that their brand is something they think about and consciously cultivate. “We work without ego and with emphasis on co-creation.” “We strive to leave lasting impressions both on and off set.” Their brand is all about being a company that is enjoyable to work with, that says “we’re collaborative” and they live and breathe it in everything they do. It’s not just website wallpaper. We have worked with them many, many times now – in large part because of the quality of work of course, but also because they are good people to work with, and they have built a relationship with us that is strong and lasting, and that is probably the goal of EVERY production company, to build that kind of loyalty. But they set it out as part of their brand mission. They are also about passion and substance in their projects and we often pair them with jobs that feel high quality, and can connect with their passion. Projects that are cinematic, meaningful, or that come from a rich story are all the types of jobs that we pair up with them for. Here is an example from the recent scripted project “Saints and Strangers”. It seemed like a great fit, and their style felt like it would be a perfect match as well. It’s no surprise that we’re working with them now on another big campaign – and for our first scripted short-form series called “Before Mars.” It is the prequel story to our upcoming series “Mars” and tells the backstory of two main characters from the series when they were young kids, and how they were inspired to one day move to another planet. 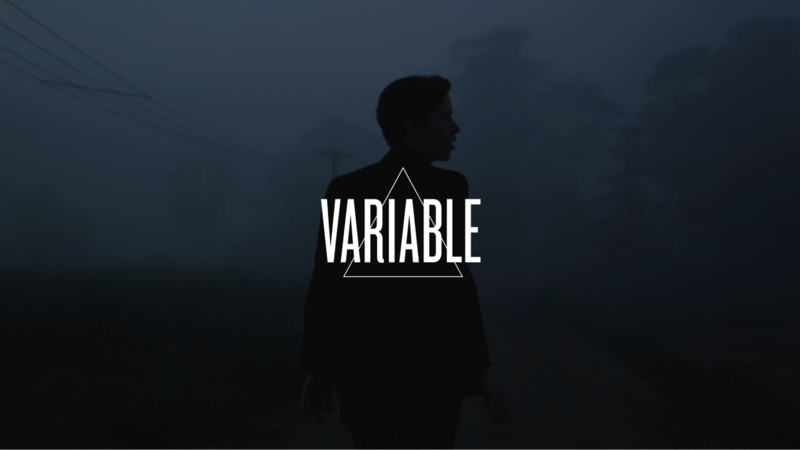 Variable was the perfect partner for that not only for the cinematic quality of their work, but because I know that they also create short films, and are always looking to expand into longer narrative work. That style of storytelling is truly their passion, and I knew that their own creative interests would make the on-screen product even better. All of these companies are smaller, with the work often done by the actual owners of the company – and the benefit of that model is that it helps build stronger relationships, more client loyalty, and more consistent quality in the final product. Another thing that was interesting was that I told them I was doing this post and asked them for a logo slide. And each company’s slide perfectly reflects their brand. Evolve – bold, a little more stylized and electric, vibrant. Prodigal – modern, graphic, minimal, technical, clean. Variable – human, emotional, moodier, thoughtful. You could say that “that’s just their style” but in our business, style is a huge part of your brand definition. Why I share this is to remind you that it’s equally important to not only have a strong visual aesthetic to what you do, but a strong brand behind it, so that clients know what they’re getting from you as a BRAND, not just as a production company or freelancer. That will better help them identify projects to work with you on, so you can get your foot in the door. So we’ve talked now about big consumer brands, building your own company’s brand, and the Nat Geo brand – let’s now scale back a bit from larger company brands and focus a bit more on personal brands. If you’re a solo director or DP or photographer, how can you brand yourself, what do YOU stand for and how do you make sure clients know that – while also feeling like you’re flexible to adapt to whatever creative needs are brought to you? Well, the good news is that the rules aren’t that different, but the bad news is that you have work a little harder to stand out. Your brand is like a trademark – it’s an asset that you must protect and shepherd, while continuously molding and evolving. Your personal brand is an asset that must be managed with the intent of helping others benefit from your creativity and experience. 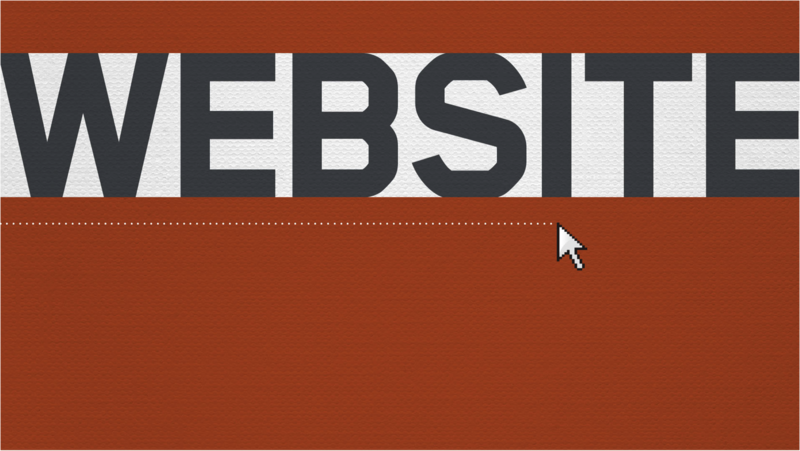 And it all starts with the most obvious touchpoint: your website/work. Obviously, you need to have great work showcased on a clear, easy to navigate website. I see SO many websites for freelancers and I’d say 8 times out of 10 the sites are out of date, or just don’t really know how they’re being seen – or who they’re talking to. Photographers’ websites are often the MOST confusing. The layout is hard to navigate, or structured in such a way that I have to work REALLY hard to find the best stuff…or the stuff that connects to the work we’re looking at doing. Personally, I always go to the “about” page early to better understand the person we’re hiring. And it’s often scattered or disorganized. I understand that it’s harder as a solo freelancer without a web team to keep those things updated, but they are important. If you have a blog, keep it reasonably updated! It makes you feel more ‘present’ and up to date. There’s nothing more disappointing than seeing a blog or a tumblr link on someone’s web page that hasn’t been updated in 2-3 years. And make sure the contact page is also easy to navigate. Don’t make people have to work too hard to find you. Put your email and phone number on it – you’d be surprised how often that gets left off of many sites I see. Sometimes Clients need to contact you immediately, and an email could go unseen for days. In your email signature – put your email and phone number so that every correspondence with a client has your number. These little things will make it easier for Clients to find you – granted that may not what you will always WANT, but trust me they appreciate it. It’s also important that you have a brand and a reputation for being easy to work with – without a company to be ‘under’ you are naturally more exposed and your name IS your company. It’s good AND bad, because of that reason. Word of mouth is one of the biggest ways to get new business or get hired, so your brand is all you got sometimes. Make sure every touchpoint with a client keeps that in mind, because the determining factors of why you do or do not get a phone call rest on the thinnest of threads. 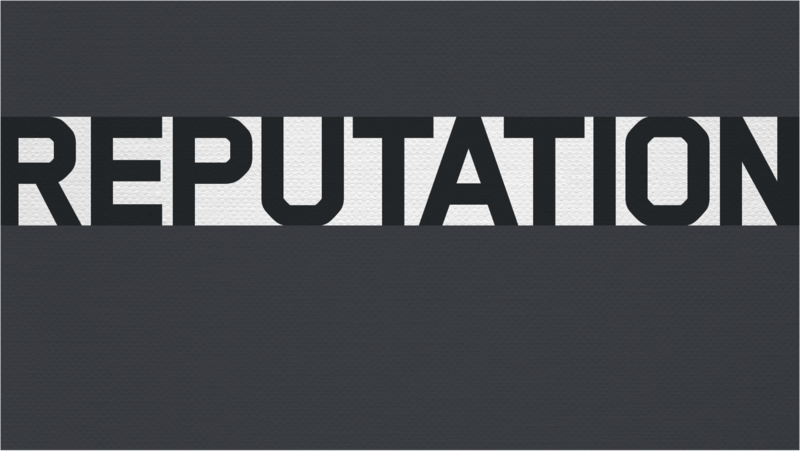 Find out – what is your reputation? Be self aware, ask for client feedback, work hard to know how you are seen in the market. 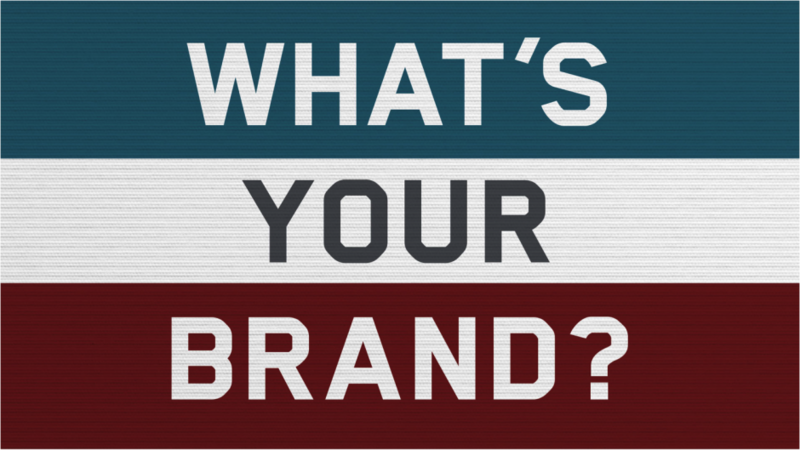 Remember that every single thing you put out there is part of “your” brand. How you cultivate that via your site, your business, even your social media profile is hugely important for your brand success. Every single impression you make is what makes up your personal brand. Every tweet, every connection, every job, everything. You need to spend time thinking about it, cultivating it, and bringing it to life in all of your work. Then, when a Director calls you about a DP job, what is great is that you’ve spent time thinking about it – and you will be smoother, more confident and on-point with the answers to their questions about what you will bring to their project. That’s such a big factor, I believe, in hiring decisions. How you communicate, and showing thoughtfulness and strategic insight in combination with great technical and creative skill can make all the difference. Your brand is a promise – but before you can make the promise, you have to determine what you stand for. What are the essential truths, strengths, differentiators and PASSIONS you or your company hold dear? Then bring them to life in all of the work that you do, on every single job. 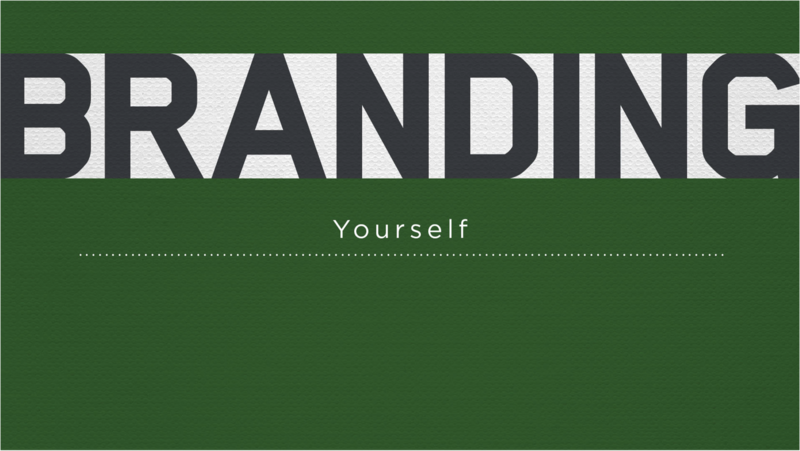 Create personal work that speaks to your personal brand, or your company’s brand. Don’t deviate from your brand, just constantly evolve it and push it even further, while still staying true to your brand’s core strengths and attributes. Surprise your audience – and emotionally connect with them through your brand’s message. Because if a brand that produces dishwasher detergent, diapers and razor blades can give you goosebumps – then anyone can. I hope you’ve enjoyed these two posts on branding, and I’ll leave you with the best commercial for a razor blade, detergent and diaper-producing brand you’ll ever see. Great Post!! I’m always so focused on building my company brand, I forget about my personal brand. Great post Andy – Always thorough and insightful! Keep them coming.